This coin is currently in development and will be available in 2017. We have to correct the dies and mint the corrected design. 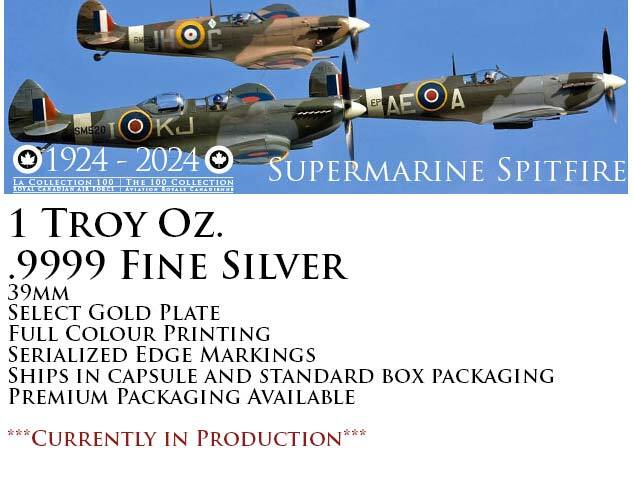 SKU: Supermarine Spitfire - 100Collection-002. We produce these magnificent coins in small batches of 100 at a time because we are a small business located in Edmonton, Canada. Series A, will be limited to 5000 coins and if there is a demand for more, we will release a Series B. 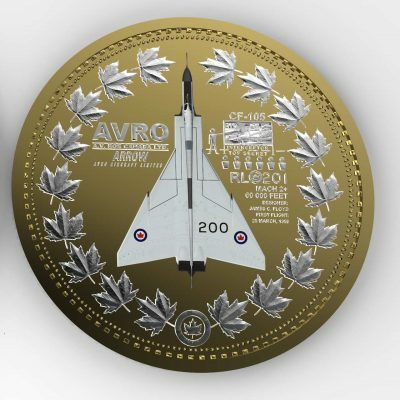 Due to the mistake by our Chief Designer with the Spitfire in the selection of the Spitfire model we used as a reference, we are in the process of redesigning this coin to feature the correct variant of the Spitfire used in the Battle of Britain. Pre-order yours today and secure the lowest possible serial number. This coin is still currently in production. We will post new information as it becomes available.